When trouble strikes, the security of your home or business depends on rapid response. Our 24-Hour Security Command Centre in Vaal Marina (Midvaal Gauteng), operates continuously with a staff of highly trained and experienced operators who respond, on average, in less than 20 seconds to priority signals from our customers’ homes or businesses. Immediate signal transmission and human response within seconds gives our customers the highest level of security protection possible. Our current Security Command Centre was built in 2008, and we continuously look for ways to optimize and upgrade to make sure it remains at the cutting edge of security alarm systems. 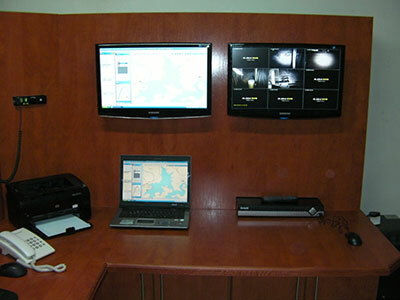 We have the capabilities to monitor systems anywhere in South Africa. Features such as back-up power systems to ensure the Security Command Centre can operate under any conceivable conditions. In all of our years in business, it has never been down, for even a single day. From our Security Command Centre, we dispatch our field service technicians who are ready to handle alarm installations or customer service calls. For all our monitored customers, we pledge to be on site for a priority service call within 24-hours. Sometimes a phone call can fix a service problem, which is why we have technical staff on call 24 hours a day to respond to urgent customer questions.